Registering your hotel, guest house, apartment, Bed & Breakfast, vacation home or hostel is really easy and shouldn't take you more than 15 minutes. Best you can start online and register now. Disclosure: this article contains links to Booking.com, by clicking on links on this page and by registering your property on Booking.com I will earn an affiliate income, at no cost to you. Last, but not least, if you will sign up with my affiliate link - first 5 bookings via Booking.com will be commission free. How Booking.com works for rental owners? Booking.com gives you the freedom to open or close your property on our site whenever you want. With no lock-in contracts, you're in control of your property. Booking.com don't add anything on to the price. Unlike other platforms that usually charge guests, the price you set is the price booking.com display. Using Booking.com along with your other relationships isn't a problem! With a simple calendar, you can manage your availability parallel to your existing relationships. Pricing structure on Booking.com is based on the idea that the price you set is what guests pay. Booking.com don't add anything on top – this way, you can price your property competitively and welcome more guests. 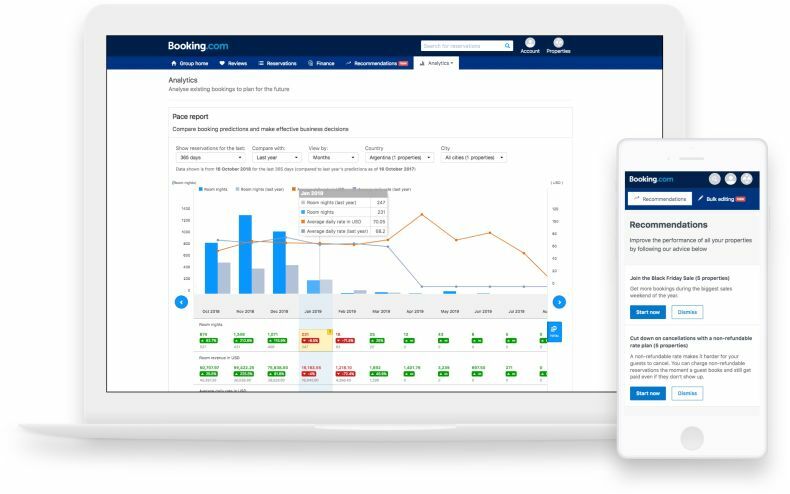 In general, Booking.com takes in commission 15% from every booking, the commission varies by city, region, and country. After you’ve registered your property, Booking.com will review your information to make sure we have everything we need. Then you’ll receive an email with login details for your Extranet. This is where you’ll go to update your availability and prices. After that, you’ll receive instructions on how to set your property live on Booking.com! Signup now and enjoy first 5 bookings from Booking.com commission-free.